On December 26, the NIA had busted a suspected ISIS-inspired terror group and arrested ten people. government installations in Delhi and other parts of north India. 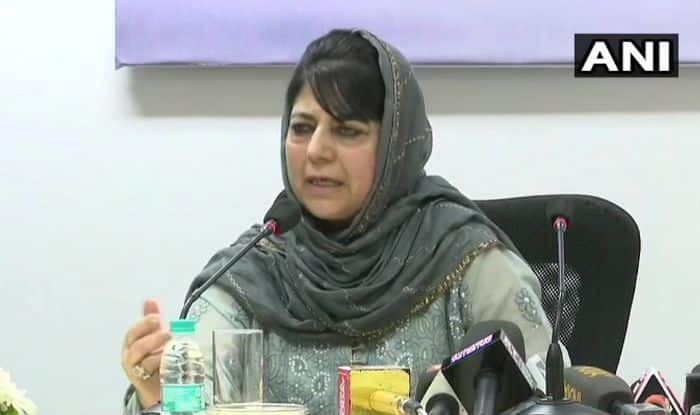 Linking the arrests to forthcoming elections, Mehbooba said the NIA must “learn from earlier episodes” in which the accused were acquitted after long trials. “National security is supreme. But declaring suspects as terrorists on the basis of sutli bombs (firecracker), associating (them) with the dreaded IS (ISIS) is premature. It has already devastated their lives and families. NIA must learn from earlier episodes in which the accused were acquitted after decades,” she wrote on Twitter. After the Wednesday raids, NIA Inspector General Alok Mittal had said that the agency recovered 25 kg of explosive material _ Potassium Nitrate, Ammonium Nitrate, Sulphur etc. In addition, 12 country-made pistols, 150 rounds of live ammunition, a country-made rocket launcher, 112 alarm clocks, mobile phone circuits, batteries and 51 pipes to be used as pipe bombs were also recovered, he had said. The NIA had also recovered steel containers, electric wires, 91 mobile phones, 134 SIM cards, three laptops, knife, sword, ISISrelated literature and a cash amount of about Rs. 7.5 lakh during the searches, Mittal had said. The agency had conducted searches across 17 locations in Uttar Pradesh and New Delhi in connection with its probe into the new module.